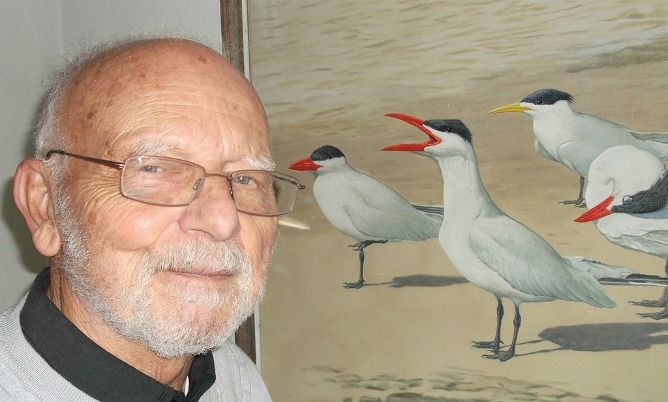 Today I received an email from the son of the painter, Walter Ferguson, a long-time member of The Society of Animal Artists, whose work is featured in Environmental Impact, informing me that Walter passed away on December 18, and that his funeral is today in Israel. Walter worked as an artist for the American Museum of Natural History and the Tel Aviv University, and is best known for his wildlife art. Walter was born in New York City in 1930. He received his formal art training at Yale School of Fine Arts and Pratt Institute. In 1965, Walter immigrated to Israel with his wife and settled in Beit Yanai on the Mediterranean coast, where they raised four children. In Israel Walter maintained an active and successful career. He traveled extensively over a period of more than 60 years throughout North America, Mexico, The Middle East and Africa, and his travels inspired paintings of the indigenous people, wildlife, and other subjects. Walter was a versatile artist who began championing environmentalism in his artwork earlier than most. His large, activist, oil painting, Save the Earth (attached), which is featured in Environmental Impact, is from 1989. 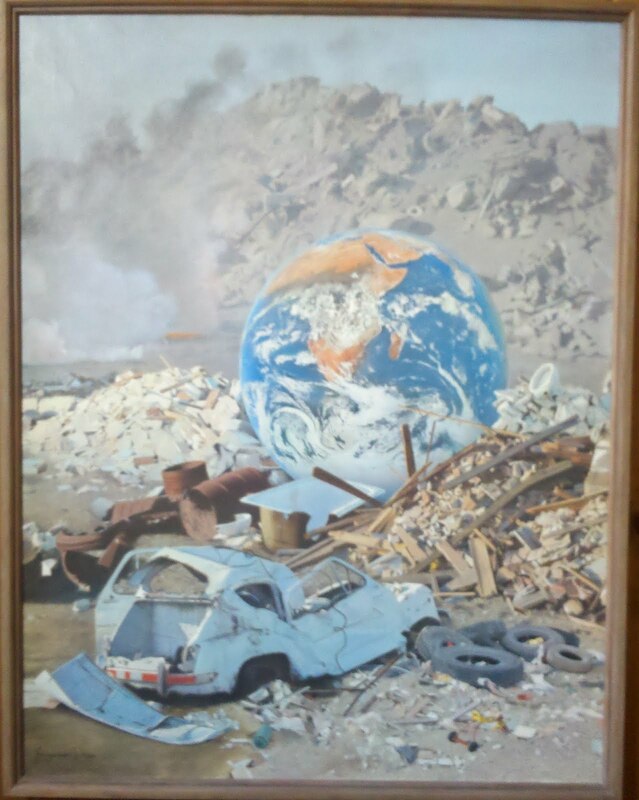 It is one of three paintings by Walter that are featured in Environmental Impact. I admired Walter and his work greatly. Walter's work was courageous. And he and his sons were generous in lending it for display in Environmental Impact and other museum exhibitions. Walter's correspondence with me was always kind, thoughtful, and instructive. His family's loss is our loss, the artworld's, too. I am a teacher at Midwood High School in Brooklyn, NY. It is my understanding that Mr. Ferguson graduated from here in 1948. Two of his murals are still on display in our building. I came across this blog post while looking for information on him, and I am very sorry to hear of his passing. If any of his relatives would like to come visit our school and see his work, they would be welcome to do so. I'm one of Walter's sons and I have seen my father's original sketches of the murals. I live in California and hope to make it to Midwood to see the murals in the near future.